At Chu’s Packaging Supplies, we strive at making ourselves different than the competition and want to do the same for you and your company. Many of our standard packaging, moving, and safety products are customizable but we can also help you move past that realm when it comes to customization. 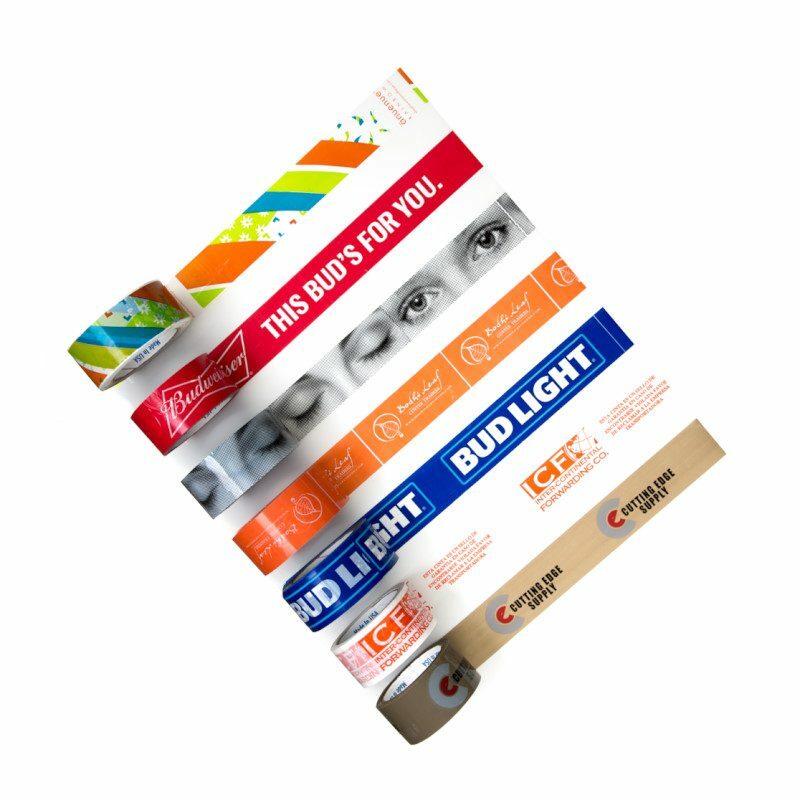 Custom printed tape, boxes, and coveralls are the cornerstones of our customization department, but we have so much more to offer to our customers. We’ve helped clients create custom gift bags, gift boxes, wristbands, stickers, software boxes, CD cases, reusable shopping bags, and much more. The limits to our capabilities are endless so we don’t want to just help you promote a name, we want to bring value to your product and branding. Please call in to speak to a Sales Executive so our team can start brainstorming your Custom Printed Tape and create your next masterpiece together.